A showcase of live contemporary jazz music in America. The name speaks for itself. Lots of beer, bourbon and BBQ. This year is sure to please with even more of what you love. Fish One, Two or All Three Days. There are daily cash prizes for 1st - 6th places and one overall combined 3 day weight for $1000!!! Admission is FREE, food will be available breakfast, lunch and supper, Homemade Ice Cream made by a Gas Engine, and there are plenty of family friendly activities-Wagon Rides, Barrel Train Rides, Combine Slide, Shingle Mill, Gas Engine Displays, Tractor and Truck Displays, Flea Markets and Crafts. World-class mentors and gifted apprentice musicians, present more than 35 concerts and more than 200 free open rehearsals. SISTER ACT tells the story of Deloris Van Cartier, a wannabe diva whose life takes a surprising turn when she witnesses a crime and the cops hide her in the last place anyone would think to look—a convent! 105 regional artists display and sell their work in this juried two-day festival. Live music and food. Native American singing, music and dancing, arts & crafts, finger weaving presentation, food and refreshments, healthy cooking demo's (using traditional Native American foods), pony rides, face painting and kids corner. For more than 30 years, the first Saturday in June means….Strawberry Festival! What has now become part of the community’s history, the Strawberry Festival attracts thousands of people who come to enjoy the small-town atmosphere, live music, fresh strawberries, children’s games, and more! Celebrate the best of Bowie throughmusic, dance, food, rides, non-profit organizations and crafters. Come to Eastern Neck NWR to celebrate National Trails Day! Refuge staff will lead two special nature walks that will explore ‘behind the signs’ areas usually closed to public access. A lively festival of the arts featuring over 50 visual arts, continuous musical entertainment and free kids craft activities. This event has a long tradition of hosting the most extensive display of regional artistry in our area. Get a Certificate for a Discounted Introductory Flight Lesson! See Airplanes, Helicopters, and Gliders Up Close! Enjoy Lunch at Airways Inn Restaurant! Get Information on Learning to Fly! Have Fun at the Youth Activity Tent! Full fledged rodeo, bull riding, and barrel racing. Bleacher seating so bring a blanket to sit in comfort. Fun for the entire family! Fishing demonstrations and instructions for ages 15 and under. Catch and release fishing only. Pre-registration is required. Check the website for more details. Live music from local bands, magic shows with Magic in the Mill, historic reenactments with Joshua Barney, and historic walking tours through town, pony rides, a petting zoo, and a moon bounce for kids dance and martial arts demonstrations raffle items donated by local businesses over 50 booths featuring crafts, food, and community information. 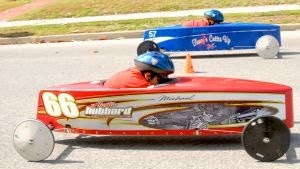 The Delmarva Soap Box Derby is for boys and girls between 7 and 17 years old. They build the cars with help from an adult and race them down hill. The winner receives a big trophy , $250 , and a trip to Akron Ohio to race in the world championship race. WMGSO's debut program spans nearly three decades of video game music, including selections from "Mario Galaxy," "Final Fantasy VI," "The Legend of Zelda," and others. The performance is free, but the ensemble suggests donations of $5 to help offset costs. of live entertainment will have the whole street dancing and more! Enjoy this FREE family fun day! All-day, free music festival featuring local/national musicians and music workshops. Arts, crafts and food. One of the best times to visit Mount Harmon is at the annual Colonial Picnic, which features Colonial Reenactors and Demonstrations, a gourmet Eastern Shore picnic, Manor House Tours, Silent Auction, and Plantation Wagon Rides. Colonial Picnic Tickets: Adults $35, Children $10. We invite you as you stroll down Historic Ellicott City's Main Street to experience the Ellicott City Old Town Market, every Saturday, May 10 through November 8, 9 am - 1pm. We'll be on the Courtyard on Tonge Row, just off of Parking Lot D, in front of the Little French Market Cafe.